Routes will be streamlined and optimized, creating faster commutes for Staten Island express bus riders. Staten Island’s express buses are getting a complete overhaul, MTA officials and Borough President James Oddo announced yesterday. These changes will save people time by better aligning bus service with travel patterns — and they could be a template for bus network improvements citywide. Staten Island express buses, which carry riders to Manhattan job centers, are plagued by reliability problems. The routes also have too many stops — 27 on average before even leaving the island, despite the fact that 83 percent of riders board at 50 percent of those stops. 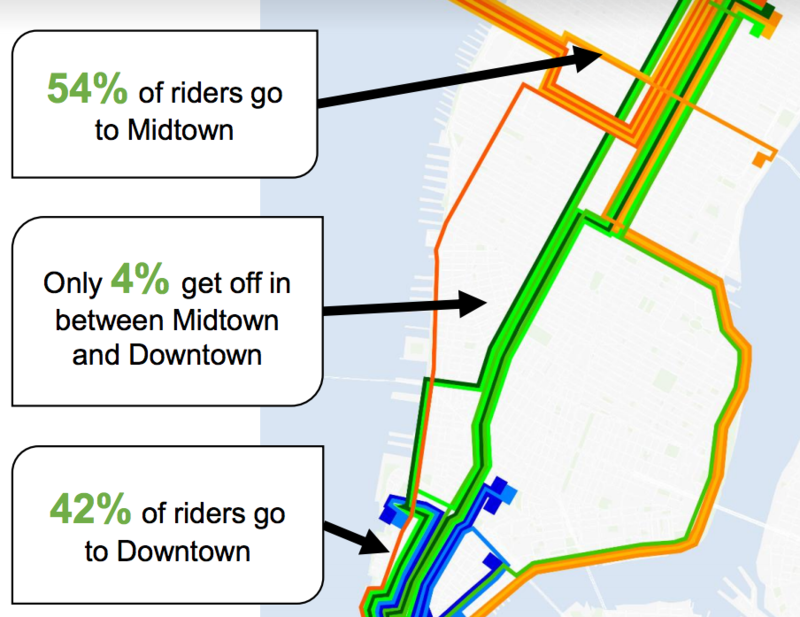 In Manhattan, they’re often stuck in congestion getting from Lower Manhattan to Midtown, even though only 4 percent of riders get on or off in between. The MTA’s plan, set for implementation in 2018, will increase service frequency on key routes, simplify routes so buses make fewer turns, reduce the number of stops in both Manhattan and Staten Island, and shift some bus travel from local streets to highways [PDF]. MTA Interim Executive Director Ronnie Hakim told the Advance the changes will yield “increased reliability, lower travel times, better frequency of service, [and] better headways” for Staten Island commuters. Next up is a public feedback period over the next few months. 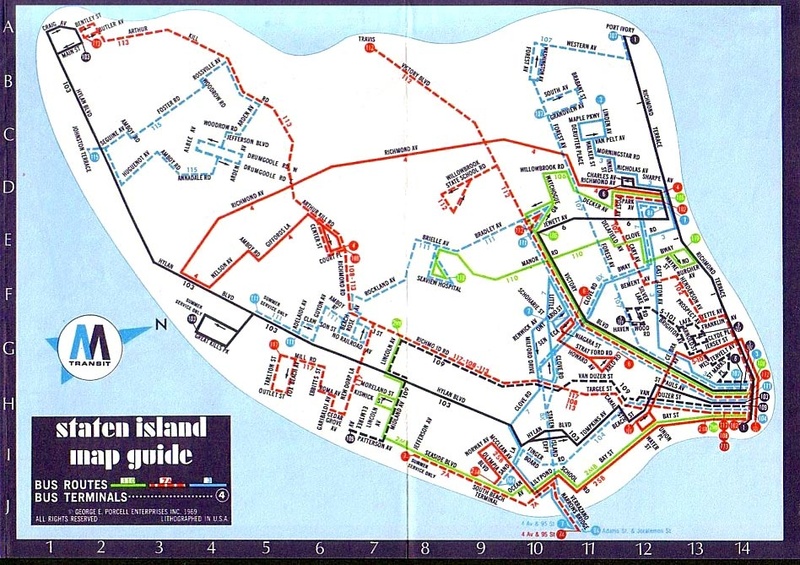 Two years ago, Oddo asked the agency to review Staten Island’s outmoded bus network, which has remained mostly unchanged since the 1960s. A plan to overhaul the borough’s local bus routes is also in the works. In addition to three public workshops, the MTA surveyed 2,000 riders and partnered with NYU’s Rudin Center and TransitCenter for a hackathon last spring, where participants used MTA Bus Time data to shape proposals for service improvements, elements of which were reflected in the plan released yesterday. 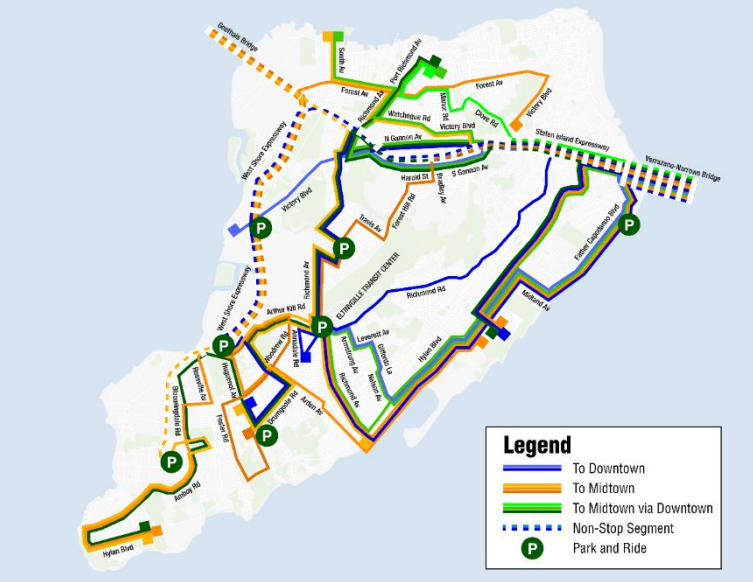 Staten Island accounts for 5 percent of the city’s bus riders, but the MTA’s work there bodes well for the other 95 percent too, said Jon Orcutt and Tabitha Decker of TransitCenter. In the past, MTA studies of bus service have been limited to smaller areas, like Co-Op City and northeastern Queens. With the Staten Island plan, Orcutt said, the MTA is thinking bigger and developing “best practices” that could eventually be part of a “rolling program” to improve bus networks across the city. TransitCenter has provided the research muscle for the New York City Bus Turnaround Coalition, which is advocating for citywide improvements to reverse flagging bus ridership. Optimizing stop spacing and redesigning routes, as in the Staten Island plan, are two of the coalition’s key recommendations. “We think these are some of the core changes that do need to happen elsewhere,” Decker said. The MTA proposal is just a start. I think the x2, x3, x9 New Dorp Terminal should be retained, as well as Madison Avenue / Lexington Avenue and Water Street service. I agree that some express bus stops can be eliminated on SI. Northbound Cannon Blvd can be retained but Ebbitts Avenue can be eliminated, they are two short block apart and Cannon has the larger bus shelter and a wider sidewalk. MTA needs to provide better documentation. The SI map is decent but the Manhattan map lacks street names. MTA said that the local bus proposals will be next but did not give a timeline for a release. S.I. has no true street grid which makes new or altered local routes somewhat difficult to design. After the Dongan Hills SIR station was made wheelchair-accessible the S52 was supposed to be extended eastward to Richmond Road along Seaview Avenue (returning via Garretson Ave) to connect with the station – that was about 20 years ago and still no extension. Interesting. You don’t necessarily need a rigid grid to create a good bus network. I think you mainly need high frequency on a number of roughly parallel routes (maybe north-south or southwest-northeast), and high frequency on a number of generally perpendicular routes. Taking a train from Princeton University to New York City is always convenient but sometimes it take long due to delays. http://www.daisylimo.com/princeton_nj.html however, there is no cheaper option unless pay more for car service.